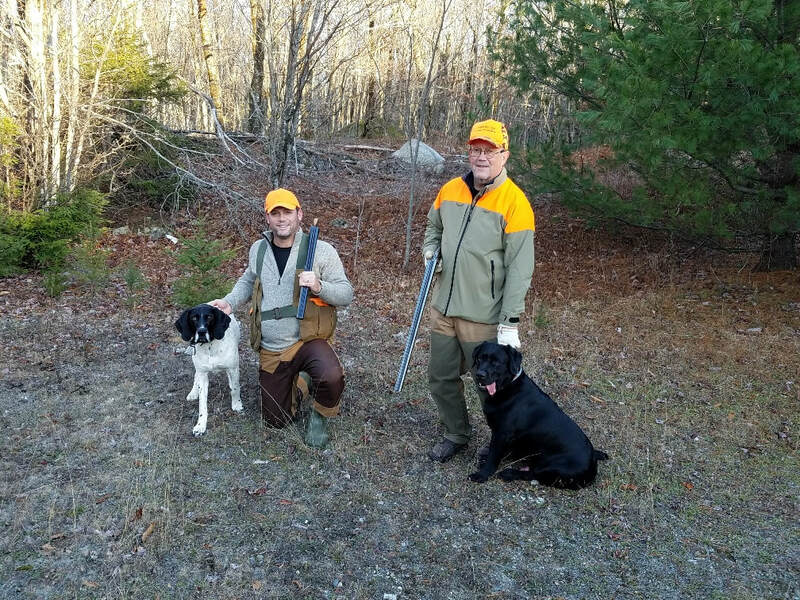 October we chase ruffed grouse and woodcock with your dogs or ours. 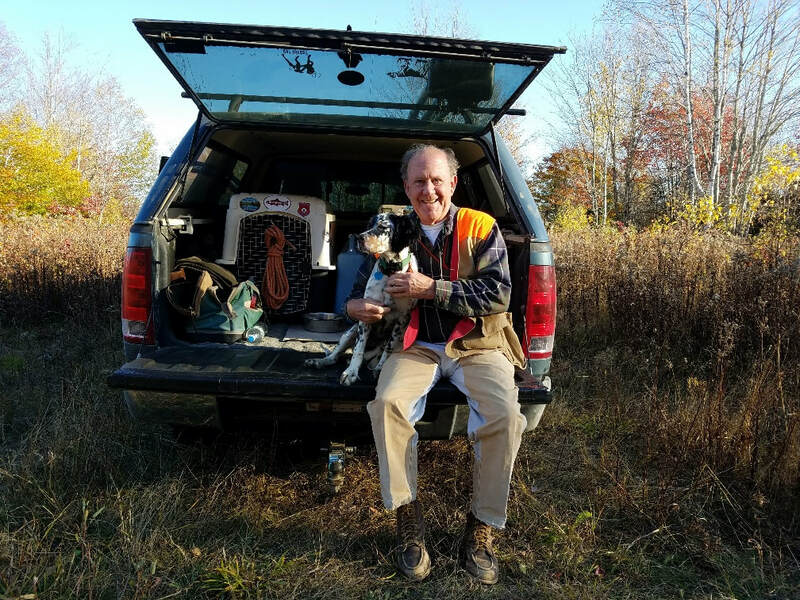 Our guide team consists of a German Shorthair Pointer (Duke), a Labrador Retriever (Jake) and a young Llewellin Setter (Kaeli). 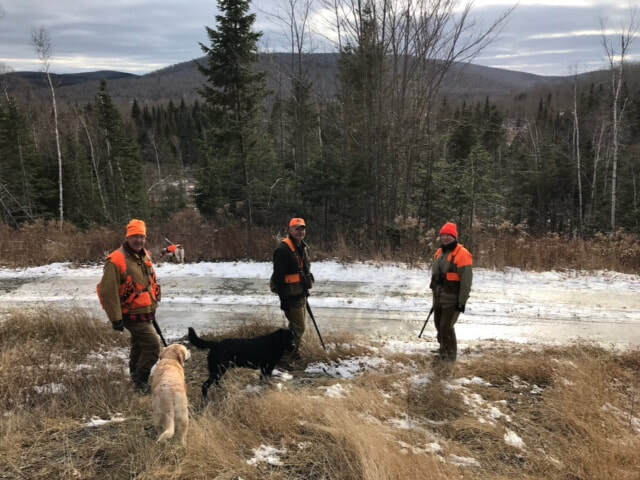 We hunt the areas of Grand Lake Stream, Allagash, and Rockwood. 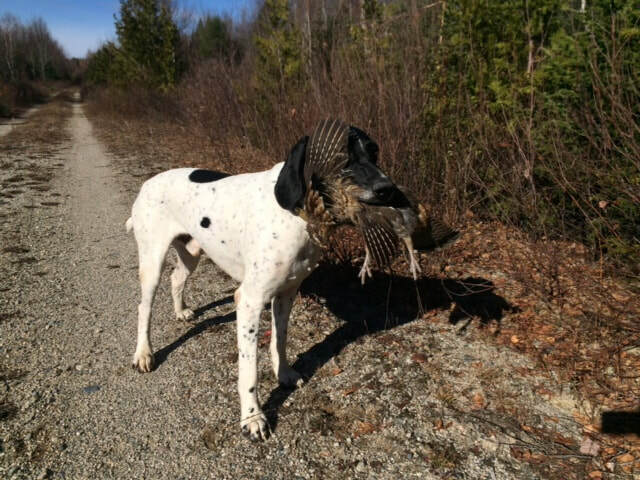 There is nothing better than walking down a logging road on a crispy, cool, blue-sky day with stunning fall colors as the dogs joyfully hunt the woods until that explosive, thunderous flush of a ruffed grouse makes you jump out of your boots! 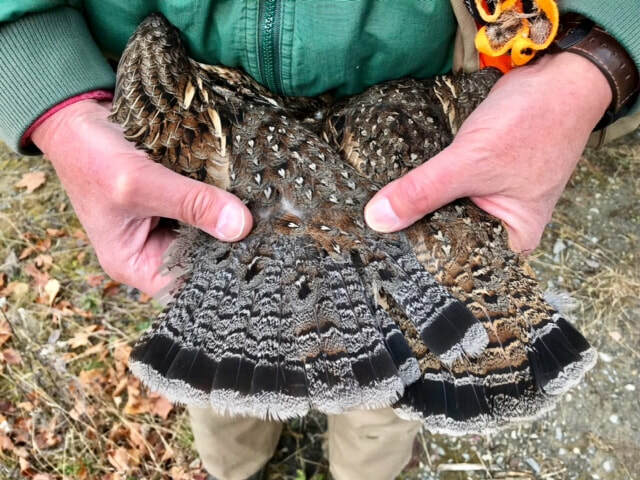 Maine is in the direct path of the woodcock migration so bagging grouse and woodcock in the same day is highly likely. 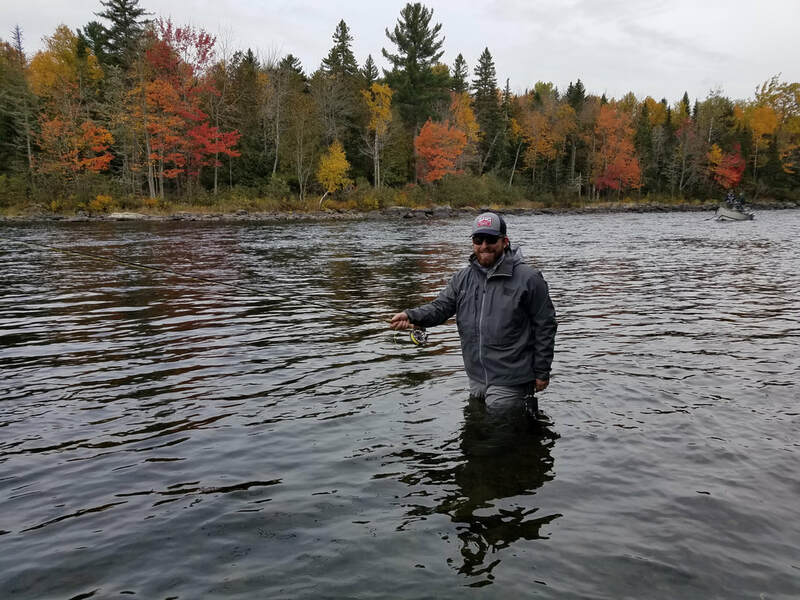 You can opt for a Cast and Blast as Grand Lake Stream has a special October fly fishing season 1-20 October, and the East Outlet of the Kennebec river the entire month of October. 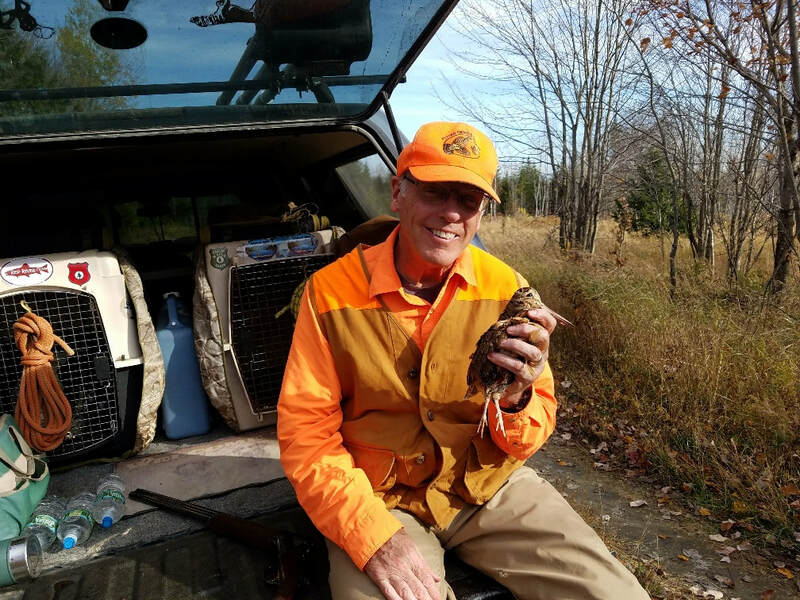 Spend a half day fly fishing, and the other half day bird hunting. 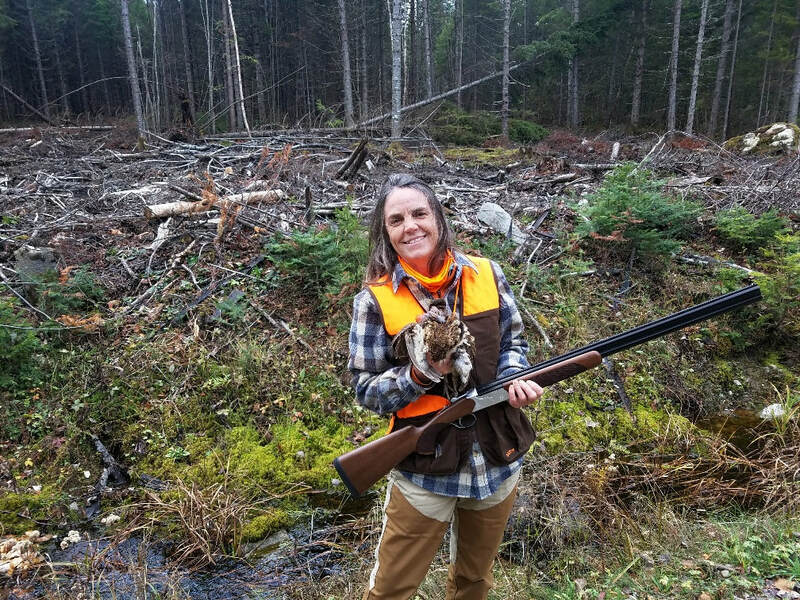 ​During October, you can opt for a Cast and Blast as Grand Lake Stream has a special October fly fishing season 1-20 October, and the East Outlet of the Kennebec river the entire month of October. Spend a half day fly fishing, and the other half day bird hunting. Fly fishing ends 1 Oct, except for Grand Lake Stream (1-20 Oct) and the East Outlet of the Kennebec (Oct) special seasons. Both these fishing areas are close to great bird hunting. 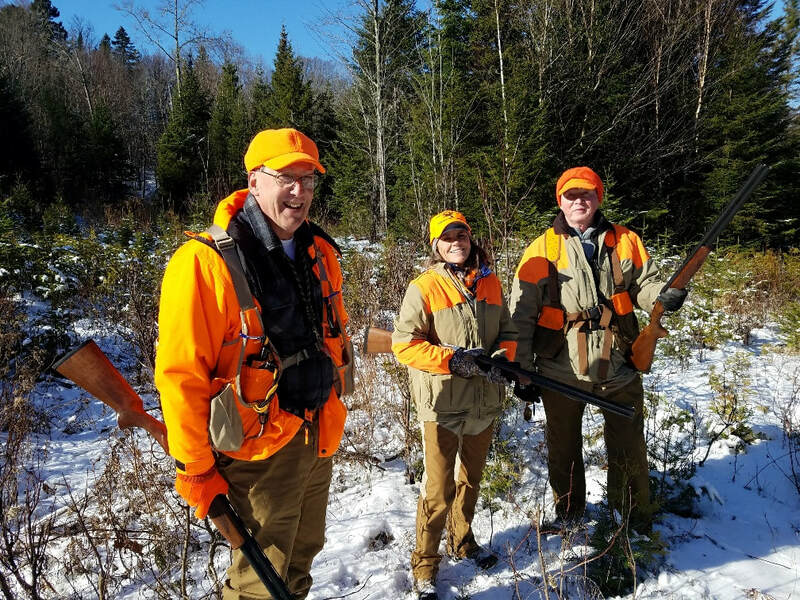 This is a very popular time of year for sportsmen, so early booking is a must, especially for accommodations.